Honda Two Wheelers are the best selling Two Wheelers in India and need no introduction. Kabir Honda is an exclusive showroom for Honda Two Wheelers in Faridabad and offers Sales, Service and Spares. They wanted to convey an image of a professional business which is tech savvy and cares for Honda Customers in Faridabad region. 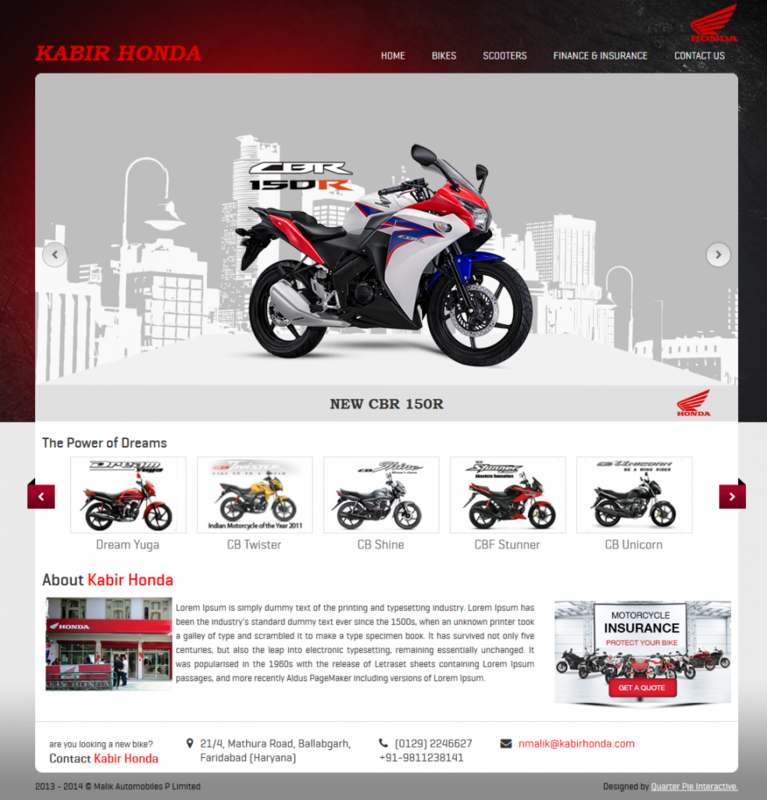 The website is a showcase website which features all the vehicles on offer by Honda Two Wheelers in India.